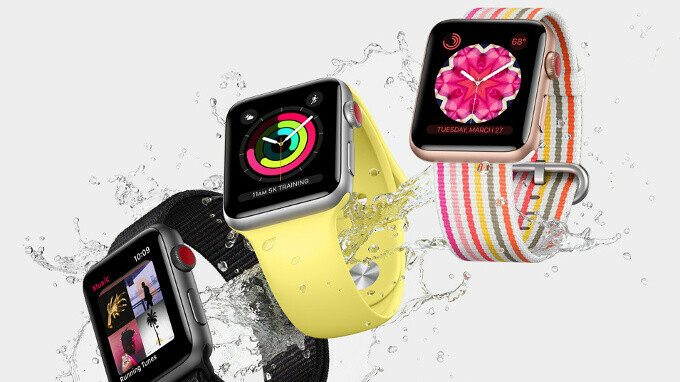 Apple is likely to release new Apple Watches - possibly the Series 4 - this fall and they will come with larger displays and a new design, according to well-informed analyst Ming-Chi Kuo from research firm KGI Securities. The new watches will come with a new design, improvements in health monitoring and longer battery life. The analyst also says the watches will have a 15% larger display, but does not clarify whether this means thinner bezels or a bigger body of the watches themselves. The last vague detail that KGI mentions is that the new timepieces will have a ‘more trendy from factor design’, but again, no specifics as to what this actually means. The overall effect of the new design and health monitoring features, along with a traditional drop in prices for older models, have the research firm expecting Apple will sell an impressive 22 million to 24 million Apple Watch units in 2018, a 30% increase over last year. In the longer term, KGI expects Apple Watch sales to grow to 50 million units a year. A fall release for new Apple Watches means that we can expect them to launch alongside the new iPhones that Apple traditionally unveils in September. Keep in mind also that this is the first rumor that we hear about the Apple Watch Series 4 and if a new generation is indeed coming, we expect to hear more from other sources in the near future. KGI has a proven track record with Apple rumors over the years, which gives us confidence in this latest rumor, but if you want even more certainty, we would recommend waiting for other sources to confirm this as well. might as well make the watch a 4 inch display so we can watch movies while we are at it. Oh my... Thinner bezels and bigger screen to body ratio will so make me switch from my TAG Heuer :-)) (being sarcastic of course). An always on display option is desperately needed and long overdue. I finally bit on a series 3 and now comes a redo. Too much tech. X plus and iPad Pro x edition already in my budget and now maybe a series 4. Ugh. How's the series 3? Does it have any issues and is it accurate in monitoring your health?? Yes, it accurately monitors bowel movements and suggests automatically nearest WC via GPS. I already have a apple watch 38mm and i’m satisfied with funcionality and all but a bigger screen would in a thinner body would be awesome. Sooooooooooooooooooooooo I should sell my Series 3 now then huh?